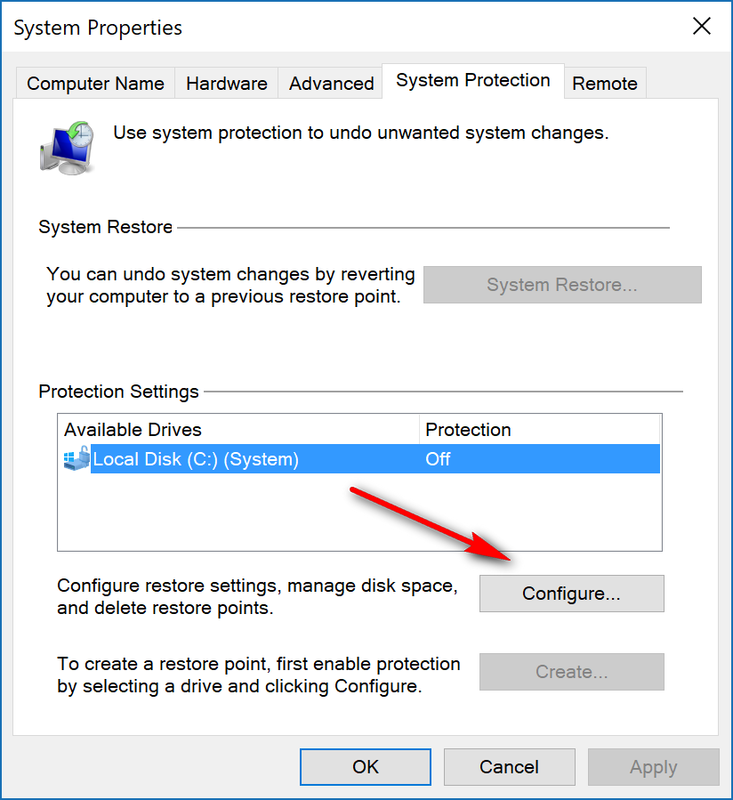 That said, Windows 10 makes it possible to disable the System Protection and thus make system restoring unavailable if a user should wish to do that. 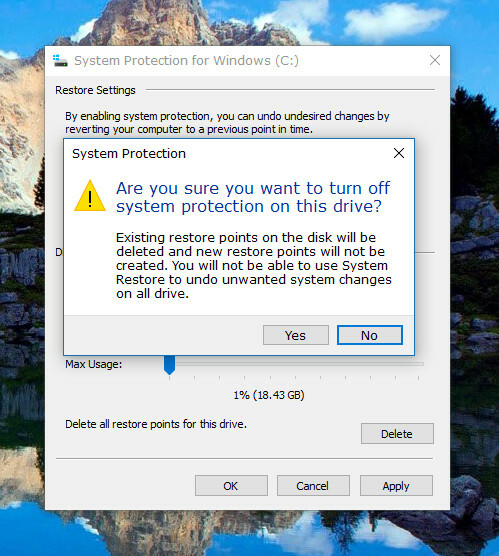 It’s not recommended by us to do that unless you have a particular case where it makes sense because you may want to take a System Restore one day and will find it impossible to do so. You shouldn’t solely rely on the chance of making system restore as your backups or system images. 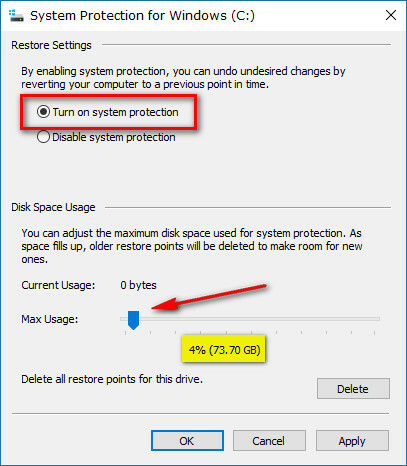 There are some times when it can leave you without data—for example if you need to restore the computer back to a time that is before you had installed something that you required on the computer, and it’s the only restore point available for getting the computer working again. 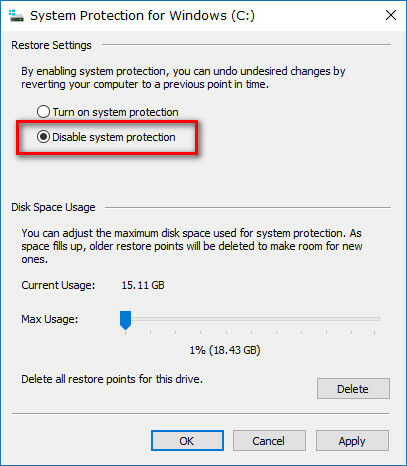 That’s why you should still be familiar with backing up and system images (Macrium Reflect  is a great tool for the latter.) 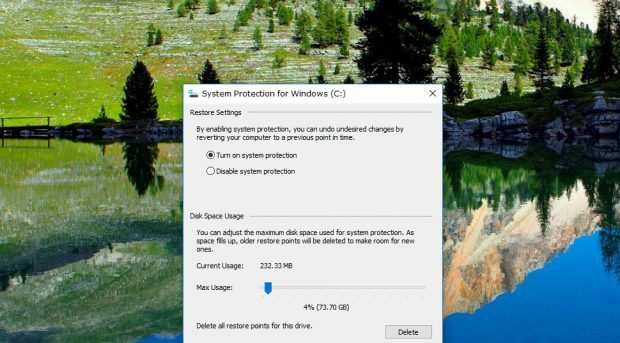 But the option for taking system restore is still a feature that many people have known from Windows for a long time, and they enjoy it still being around. 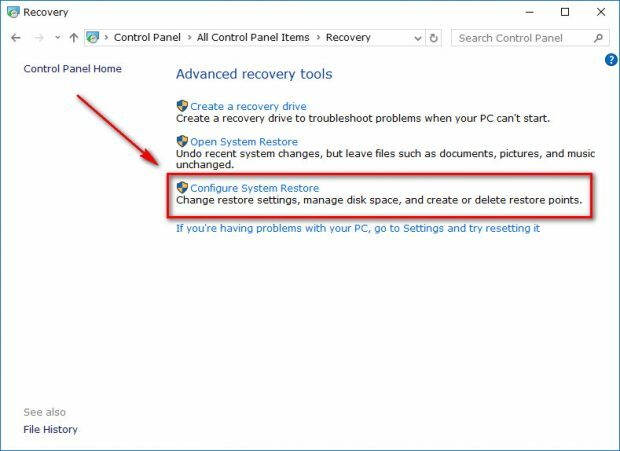 Start by opening the Control Panel  and then click on the “Recovery” link from the menu. 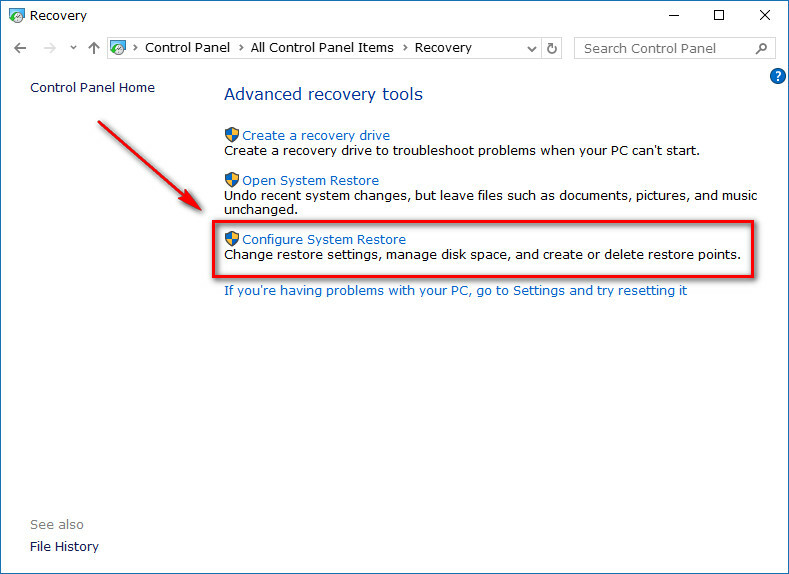 It opens you up to the Advanced recovery tools menu where you get three more links. 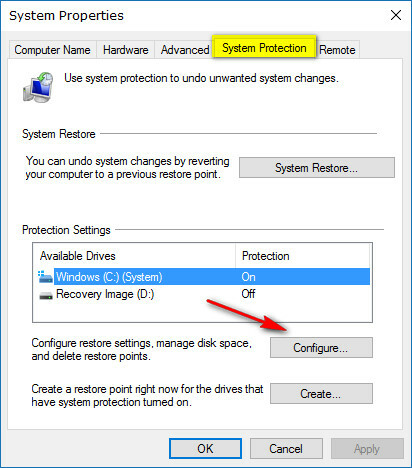 Click on the one that says “Configure System Restore” to find the System Protection area.